Beyond the Spin is a one-hour weekly public radio program produced by the Center for Emerging Media and WEAA 88.9-FM, the NPR station of Morgan State University, in association with the National Federation of Community Broadcasters. Veteran radio journalist Marc Steiner serves as host for Beyond the Spin. Beyond the Spin brings together community radio journalists from across the nation in on-air conversations on topics that are important to all of us, from the elections to education to the environment. Beyond the Spin is more than a talking-head roundtable discussion – it actually links and interweaves the stories and voices of the diverse cultures that comprise our national landscape. We go beyond the headlines, beyond the horse race, and beyond the spin, to get to the heart of the issues that have the most impact on all of our lives. 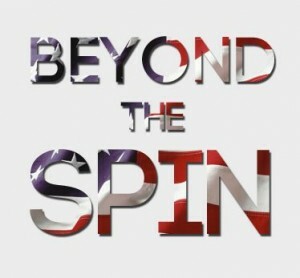 Beyond the Spin features the interests and opinions of communities that are often left out of the national discourse. We are building this new show as a dialogue, a conversation between communities about the future of our nation, with people from all parts of the country sharing their unique perspectives. While are plenty of other places to hear pundits from inside the DC beltway, Beyond the Spin offers a new and fresh perspective, showcasing voices from the richly diverse tapestry that is our land. Beyond the Spin: 2012 Election Results- November 8, 2012 - Hour 1 - It's time for another episode of Beyond the Spin. On Beyond the Spin today, we take a look at the results of Tuesday's election, covering not just the Presidential election but also significant state and local races and referendums around the country. Beyond the Spin: Fracking in Longmont, Colorado- November 1, 2012 – Hour 2 - Beyond the Spin discusses a campaign to defeat a citizen-led ballot measure that would ban hydraulic fracturing or fracking within city limits. With Election Day coming up Tuesday, and early voting already underway, we'll also speak with community radio journalists from around the country. Beyond the Spin: Ballot Referendums & Election Issues- October 29, 2012 - Hour 1 - Listen to our latest segment of Beyond the Spin, our weekly national news round table! This week we take a look at a number of ballot referendums and election issues around the country. Beyond the Spin: 2012 Presidential Debate- October 18, 2012 – Hour 1 - Today we share another episode of Beyond the Spin, a weekly show bringing community radio journalists from around the United States together to discuss the issues that are important to our communities during the 2012 election season. Beyond the Spin: Election Issues- October 11, 2012 - Hour 1 - This week on Beyond the Spin, with the 2012 presidential election less than one month away, we'll be discussing election issues including the exclusion of 3rd party candidates from the debates, the ongoing legal battles over voter ID laws in states around the country, and what the recent news about dropping unemployment in the US could mean for the election. Beyond the Spin: Analyze the First Presidential Debate of 2012- October 4, 2012 - Hour 1 - On this episode of Beyond The Spin, we analyze the first presidential debate that took place last night in Colorado. We are joined by Michael Chmielewski, Arnold Prehn, Heather Niday, Karen Brown and Elizabeth DiNovella. Beyond the Spin: Presidential Candidate Forum & Laws Blocking Hispanic Voters- September 27, 2012 - Hour 1 - This week on Beyond the Spin, we discuss the recent Presidential candidate forum hosted by Univision, as well as a study showing new voting laws may block up to 10 million Hispanic voters from the polls in November, with a panel of Latino public radio journalists from around the United States. Beyond the Spin: Romney’s 47%, Honesty in Politics & More- September 26, 2012 - Hour 2 - They all will join us for a discussion on the meaning of Romney's 47% commentaries, honesty in politics, and why folks of color are behind Obama. Beyond the Spin: Local Perspectives- September 13, 2012 - Hour 1 - Beyond the Spin this week will include a range of local perspectives from around the country on different issues relating to the 2012 elections. Our guests give us a sense of how the United States is constantly changing through the lens of political and social shifts in their communities. We'll hear about a Congressional swing district in a diverse region of west Texas, the economic reality in poor communities from the deep south to California, growing conservatism in Minnesota, and more. Beyond the Spin: Democratic National Convention- September 6, 2012 - Hour 1 - If you're interested in finding out what regular people from across the country are saying about the Democratic National Convention, tune in for our latest segment of Beyond the Spin! Beyond the Spin: 2012 Republican National Convention- August 30, 2012 - Hour 1 - This week on Beyond the Spin, we'll hear perspectives on the 2012 Republican National Convention as it is taking place, both from reporters inside of the convention and outside observers. Beyond the Spin: Presidential Candidates on the Issue of Poverty- August 23, 2012 - Segment 1 - On Beyond the Spin, our new weekly series on the 2012 elections, we discuss how Presidential candidates are, or aren’t, addressing the issue of poverty, and why it matters. Beyond the Spin: Voter ID Laws- August 16, 2012 - Hour 1 - This week, we focus on state Voter ID laws that have led to legal challenges and raised concerns about voter disenfranchisement, featuring interviews from Arizona, Pennsylvania, California, Wisconsin, and Alabama. Beyond the Spin: Influence of Money on Elections & Politics- August 9, 2012 - Segment 1 - This week, we’ll be talking about the influence of money on the 2012 elections, and American politics in general, today.